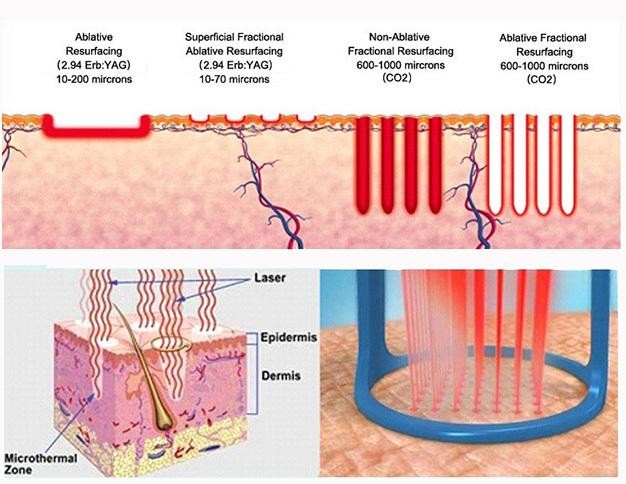 After applied to the skin, the lattice array small beam generated by fractional laser will produce multiple tiny three-dimensional and cylindrical thermal damage zones, around which are normal tissues without damaging, hence, the corneocyte will crawl quickly to repair the damaged and make them heal rapidly. Besides, it can rearrange the proliferation of collagen fiber and elastic fiber, make the proportion of I, Ⅲ collagen fiber close to the normal one, change the tissue of pathological scar, soften the scar and restore its elasticity gradually. 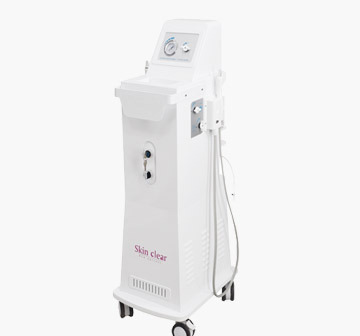 The main absorption group of fractional laser is water, which is also the primary component of the skin. 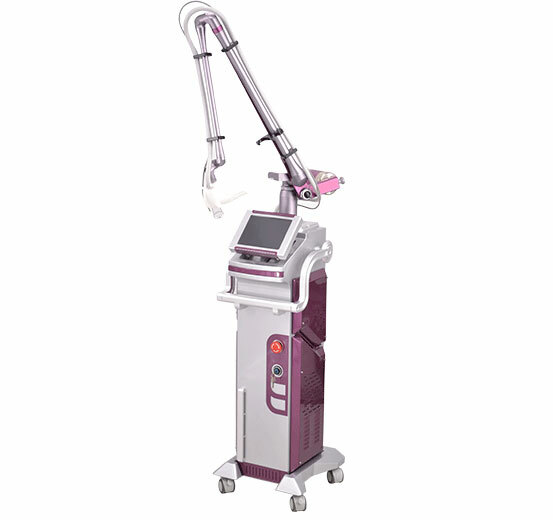 Fractional laser can make the dermal collagen fibers be heated to contract and degenerate, enhance the injury healing within the dermis and enable the collagen deposit orderly, thus promoting the proliferation of collagen, improving skin elasticity and reducing scar. Improves the sagging of the skin of the eyelids face and neck. Eliminates Pigmentation: freckles, aged spots, etc. 1. 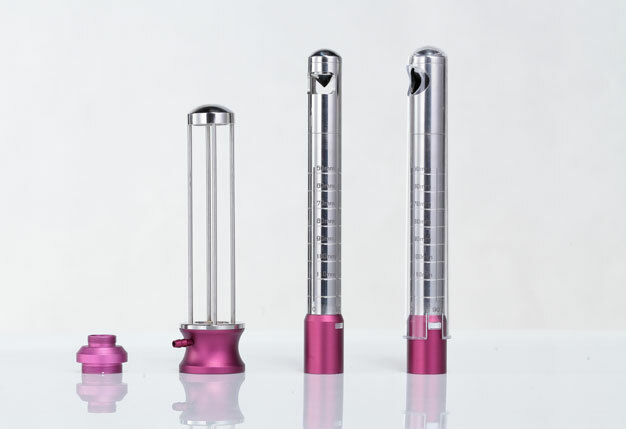 Three modes of laser energy output are available: Ultra-Pulse, CW (Continuous Wave) and Fractional, providing a wide range of application. 3. Healing zone volume is adjustable, namely, the volume of spots is adjustable in a certain healing zone. Therapists can adjust the spot density/shape/size according to the needs of the healer. 4. 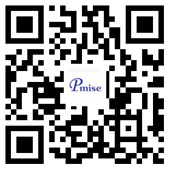 Various spot volumes are suitable for different area of the body which maximally avoid the side-effect that results from the overlap of the spot, reduce the pain during treatment and satisfy different therapists unique request. 5. Red indicator light makes the operator's vision more clearly. 6. 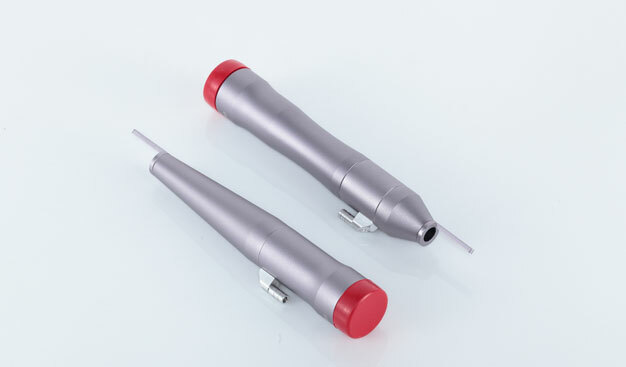 Large color touch screen is easy for operation. 7. Intelligent error reporting system ensures operating safety. 1. Highly Advanced Scanners for Maximum Versatility, Speed and Efficacy. CPG Head for fast and precise tissue ablation and coagulation with consistent fluence. 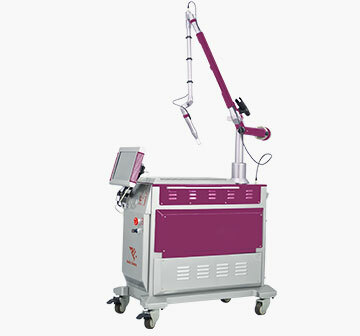 The overall effect of ablation and coagulation, either full or fractional, is the removal of skin and the stimulation of the body to replace it with newer, younger skin.. it is equipped with a special image generator (CPG) image generator that changes the light emission mode, can emit 50-80 micron focal spots through the high focusing mirror, and scan these focal spots up to six Array, suitable for different parts and different skin types, can range from covering the entire treatment area or just a fraction of it. Using carbon dioxide ultra-pulse to remove flesh, you can control the size and depth of the spot without leaving sputum and infection. 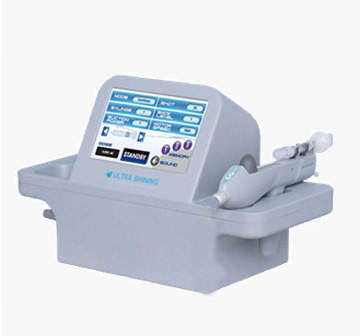 Adopt humanized 360° professional treatment handpiece with adjustable depth, taking into account all angles of the treatment site, safe and gentle laser treatment, no pain and discomfort during the whole treatment with comfortable body feeling. It can be recovered in seven days after treatment. 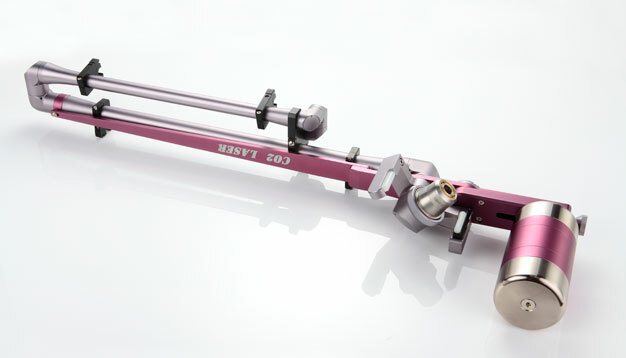 South Korea imported, transmission efficiency is greater than 75%, more convenient operating, less costs. 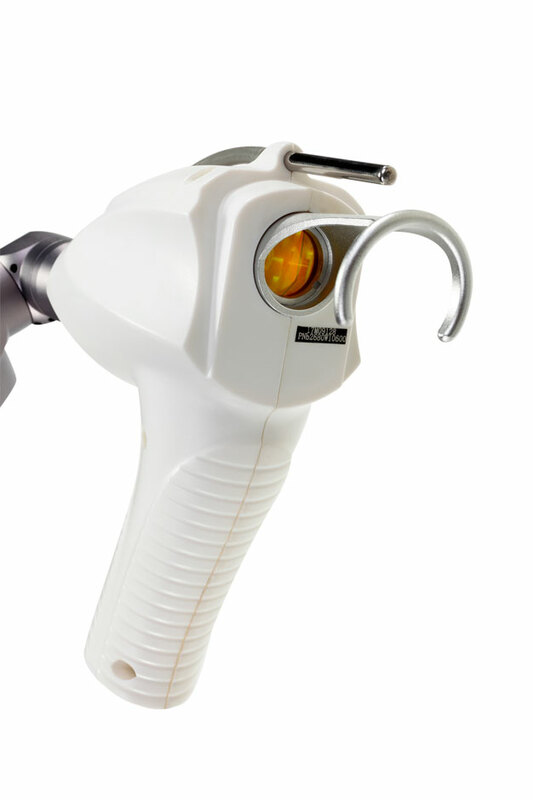 Get a more stable laser, with a variety of spot areas required by the operator, to ensure consistent treatment results in the treatment area. More than 7+ shape more choices. Every shape can change the size.